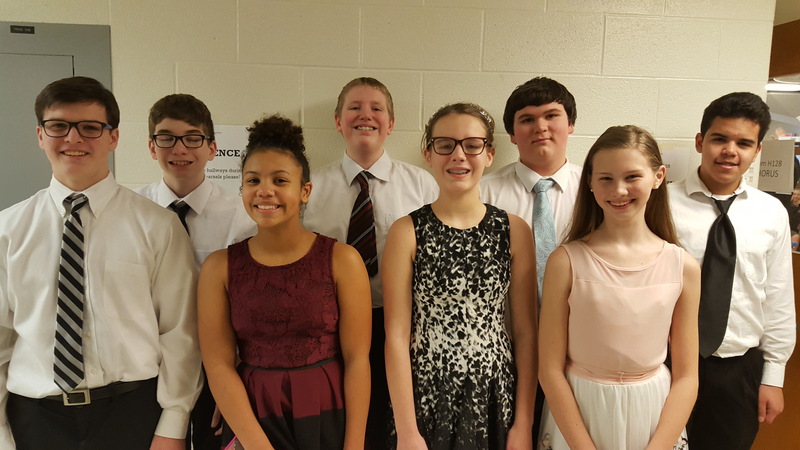 Congratulations to eight Solvay Middle School vocal music students, who were selected to represent the Solvay Union Free School District at the Onondaga County Music Educators Association’s Junior High All-County Music Festival! All eight students performed as part of the Junior High All-County Chorus at the Skaneateles High School earlier this year. Congratulations to the following students for their exceptional accomplishments, and for representing Solvay so well to our greater central New York community! Their achievement is a result of their hard work and dedication to music. We look forward to hearing more from these fine young musicians in the future.